The T-18 design was originally developed with the Lycoming 0-290G (ground auxiliary power unit) in mind, by John Thorp. Which was easily converted to a Lycoming 0-290D engine producing 125 HP. The T-18 is an all metal 2 place side-by-side high performance aircraft. Control response is exceptional and control forces are well harmonized. The T-18 is a very capable cross-country airplane. It will carry 2 people, 80 lbs. of baggage, and depending on engine and prop, can cruise around 180 mph. Powerplants range from Lycoming O-290 (125hp) to IO-360 (180). The T-18 was designed to be built from twelve 4' x 12' sheets of aluminum ranging in thickness from 0.016 to 0.040. Ribs and fuselage frames were designed to be hand formed with a mallet over plywood form blocks. Simple aluminum angle extrusions are used for stringers and longerons. The main wing spar caps are made from 1/4 "U" channel on top and angle on bottom with flat sheet for spar webs. John Thorp designed the aircraft to be small, yet strong with excellent take-off and climb performance. The landing gear is a simple "A" frame of heavy wall 4130 steel tubing, heat treated to 180,000 lbs./sq. in. and bolted to the firewall with (3) 3/8" bolts. The engine mount is also attached to the "A" frame allowing landing stresses not to be transmitted directly to the fuselage. This landing gear system has proven to be rugged and durable. The T-18 incorporates the "flying tail" which John Thorp held the patent for. This design also incorporates a sliding bubble canopy, like a fighter style. The T-18 is a very historic aircraft. It was one of the first all metal homebuilts. It was the first homebuilt to use the stabilator or all-flying-tail. The stabilator was designed by John Thorp and was later used by Piper on their line of Cherokee aircraft. Today you can see the extensive use of this design on military aircraft. The T-18 was the first homebuilt aircraft to fly around the world. It was also the first homebuilt airplane to fly to both the geographic and magnetic north poles. The legendary Don Taylor completed all of these feats in the early 1970's. His famous T-18 is now on display in the EAA museum in Oshkosh, Wisconsin. T-18 plans are available again through (to be announced early 2018). They are also developing a kit version, using laser cut parts and of course John Thorp's matched hole tooling concept. The laser cut parts are beautiful and it promises to be a wonderful kit. For more information contact (to be announced early 2018). 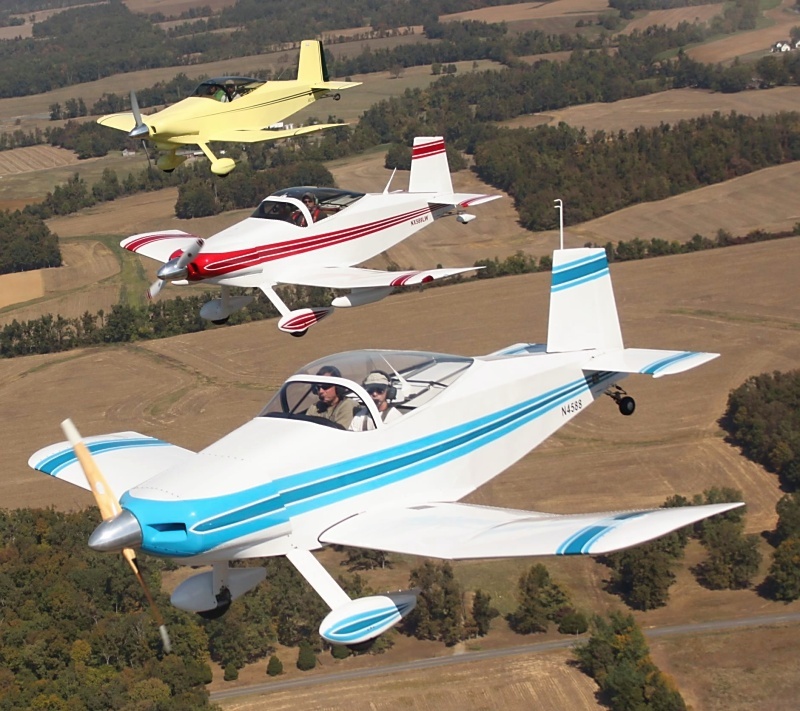 No other homebuilt has done all the things that have been done by this airplane. It is no doubt one of the best designed aircraft in the world. T-18 - The original design by John Thorp in about 1963. T-18C - The original T-18 fuselage design, but incorporating Lu Sunderlands new Convertible or folding wing. Plans were available through John Thorp. The folding wing was a supplement to the original T-18 drawings. The plans were taken off the market in 1984 when John Thorp retired. The C wing could have been built with the standard airfoil or the Sunderland S modified leading edge airfoil. T-18W - Not many of these exist, but is the wide body version of the fuselage as designed by Lu Sunderland, using the standard T-18 wing platform. Plans were available through John Thorp. The wide body modification was a supplement to the T-18 drawings. The plans were taken off the market in 1984 when John Thorp Retired. T-18CW - This is the predecessor to the S-18. It is the wide body version of the fuselage, and also the Convertible or folding wing as designed by Lu Sunderland. Drawings were available from John Thorp and they contained supplements for the fuselage and wing modifications. The plans were taken off the market in 1984 when John Thorp retired. T-18L - This model uses both the standard fuselage and the standard wing plan form, but incorporates the LDS airfoil designed by Lu Sunderland and used on the S-18. There are no actual drawings for the "L" version, as builders have taken it upon themselves to make the airfoil change. S-18 - This is the redesigned version of the T-18 by Lu Sunderland. A complete new set of drawings were done and offered in 1985. It is synonymous with the T-18CW.